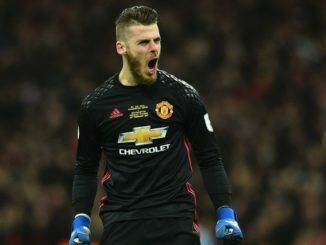 Manchester United Football Club looked for all the world that they were going to lose David de Gea over the summer, but in the end, thanks to a dodgy fax machine, the club managed to keep hold of the world class Spaniard. The 25-year old has given his first major interview since the incident, and thanked the fans for the incredible welcome he received upon his return. And what a deserved welcome it was, too. Yes, we all know that he wanted to join Real Madrid, but the move didn’t happen and he did not sulk, he just got on with things at Manchester United. Since then he has developed his game further, and continued to improve his stock across the footballing world. He is without doubt one of the best in the business, and he has been absolutely amazing all-year long.